In a floggeed-out Dragon car? Second prize: TWO years in a Dragon car. The answer: No, I would be way out of my depth. Best to get some experience wobbling around the back of Circuit Excels or Improved Production under 2L first... Something with a less intimidating performance level. Switching off the part of one's brain that says "what if..." and going hell for leather doesn't come naturally to me, or I suspect most. Race car drivers are mad, no? The reassurance of a proper racing car with a full roll cage would help though compared to running one's wildly unsafe zero-star rating old street car in club sprints and the like though. Last edited by V8 Fireworks; 28 Jan 2018 at 08:35. 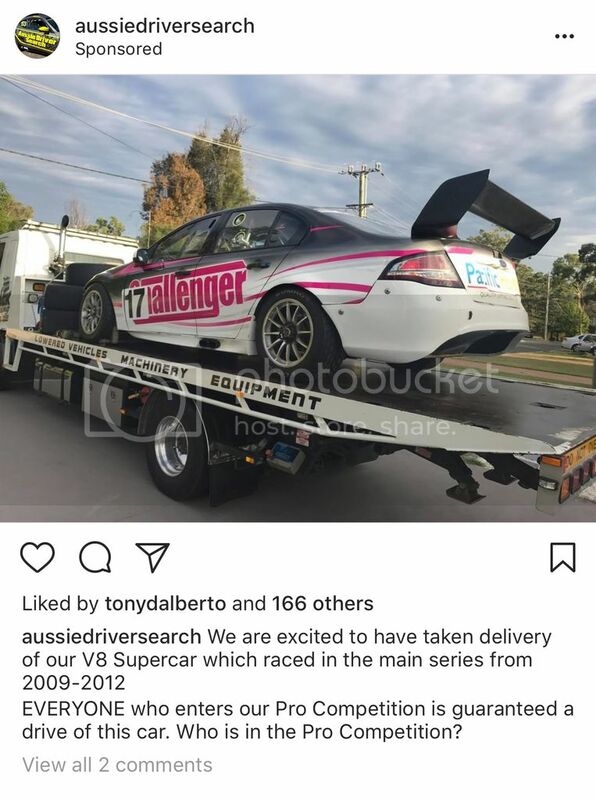 Could be a good gig for young(ish) Matthew Radisich who is getting back into motor racing in his late 20s and nearly a decade long break from race cars? Where does the budget come from? I'm struggling to see how income is generated. 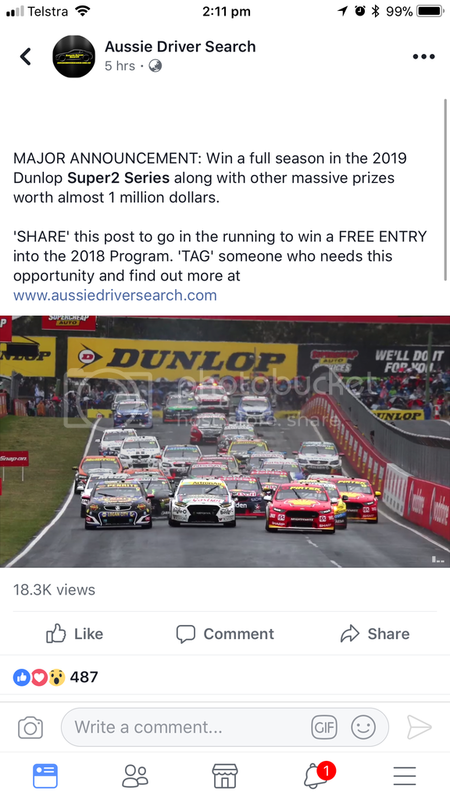 $5k to enter their top line category of the competition for the chance to win "$600,000 funding to race in the full 2019 Dunlop Super2 Series" So in a simplified world they're gunna need to find 120 starters willing to depart with $5kto break even on this prize. Who is behind this thing? What was that other driver search competition, Chance of a Lifetime? From memory that ended badly, didn't it? They all generally have a short lifespan. You've got more chance of negotiating a cheaper deal on a leased seat, than winning the big prize. ADS to run at Perth in Super2.